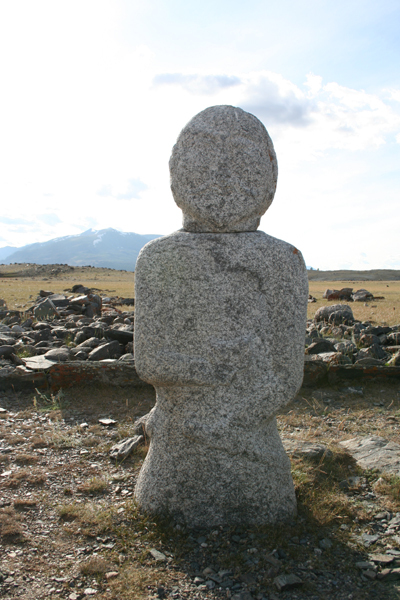 Archeological treasures are abundant in Bayan-Olgii. 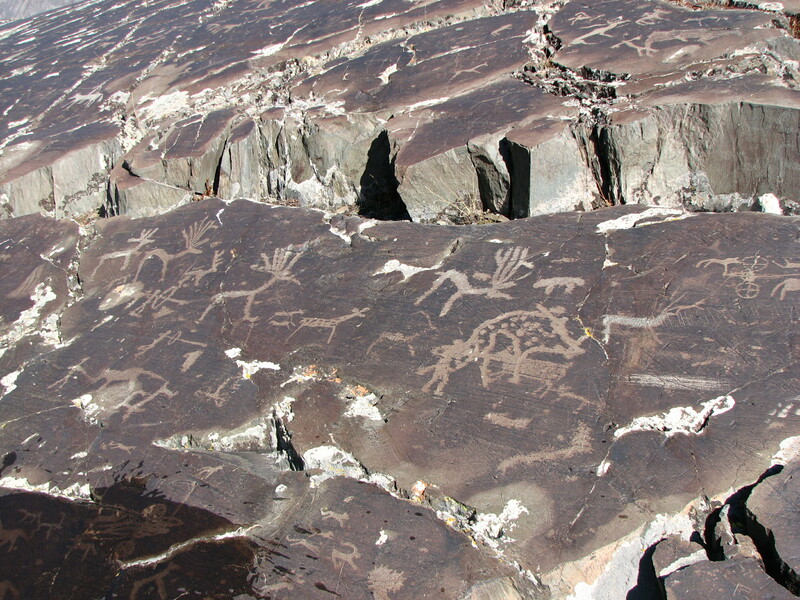 You can see petroglyphs, standing stones, and burial mounds from the Aimag museum in Olgii to Tsaagan Salaa inside Tavan Bogd National Park with over 10,000 petroglyphs in one valley. Many sites are outside of National Parks, though the best places are inside Tavan Bogd National Park. 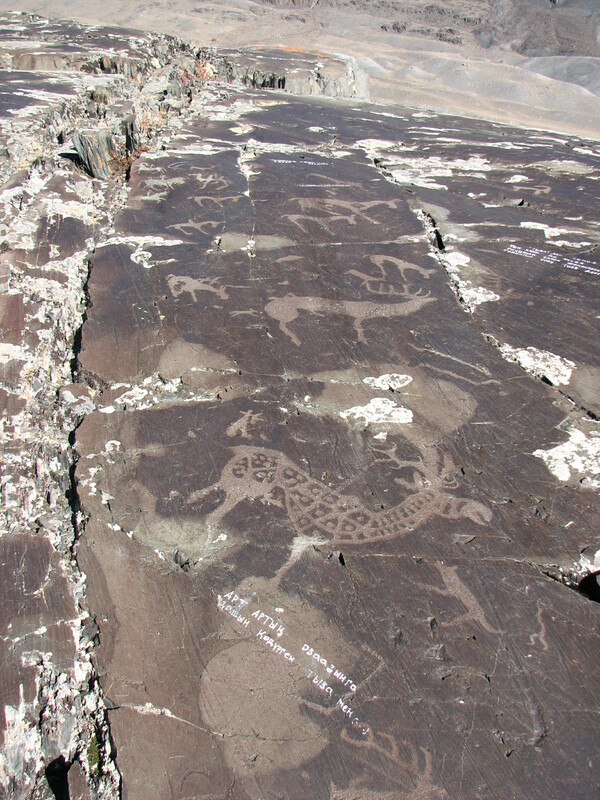 Due to the rough landscape, it is easy to pass within a short distance of a petroglyph site and not see it without a detailed map or guide. Burial mounds and standing stones are usually found in wide valleys inside the park. Archeology sightseeing is included in most tour packages and archeology centric tours are popular. These tours are usually paired with visits to nomadic families, allowing you to view artistic representations of past cultures and the current lifestyle of locals. 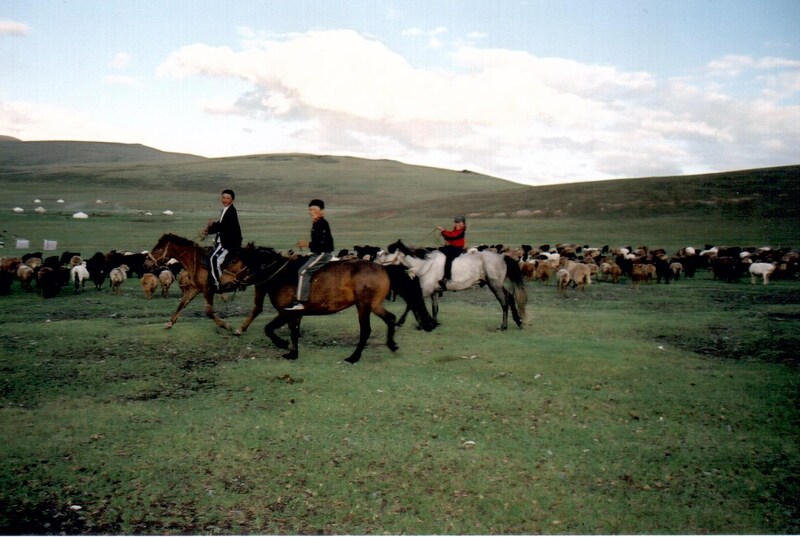 Outside of Mongolia, the ancient practice of nomadic herding has been mostly suppressed in Central Asia under communist rule. Between 80 to 95% of Mongolia’s land is public grazing land used by semi-nomadic herders that move 3 to 6 times a year and live in felt tents called gers at least part of the year. They are considered to be semi-nomadic since they return to the same pastures each year, only changing during droughts or extreme weather. 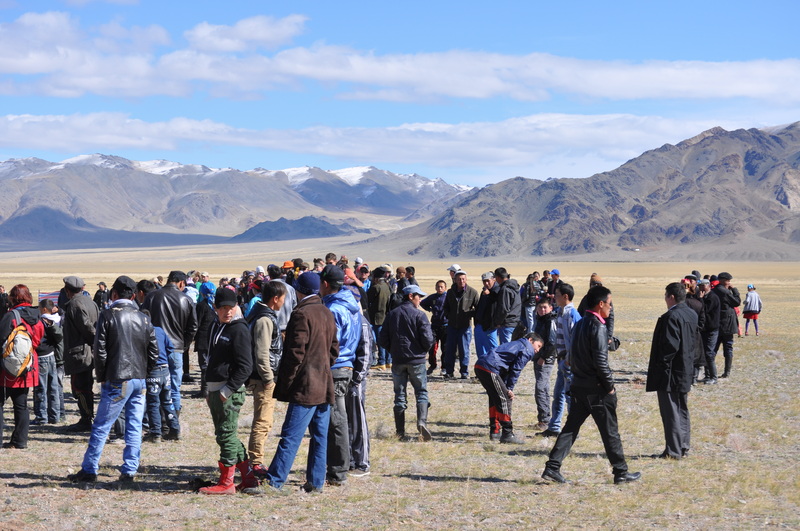 Kazakh and Mongolian nomads are very hospitable people that will welcome unexpected guests with milk tea and food. Kazakhs in particular take great pride in being good hosts. It is their responsibility to ensure that guests are full by the time they leave, and they intend to make sure that no one is hungry. 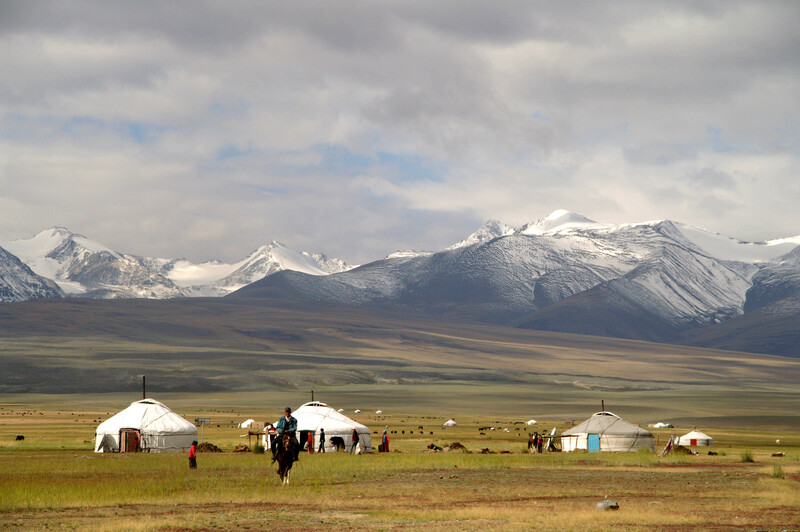 In areas like Tavan Bogd, nomadic families will host guests throughout the summer for small fees. Other families and eagle hunters are usually given gifts as not to insult proud herders. Bayan-Olgii has a busy calendar of cultural events throughout the year. 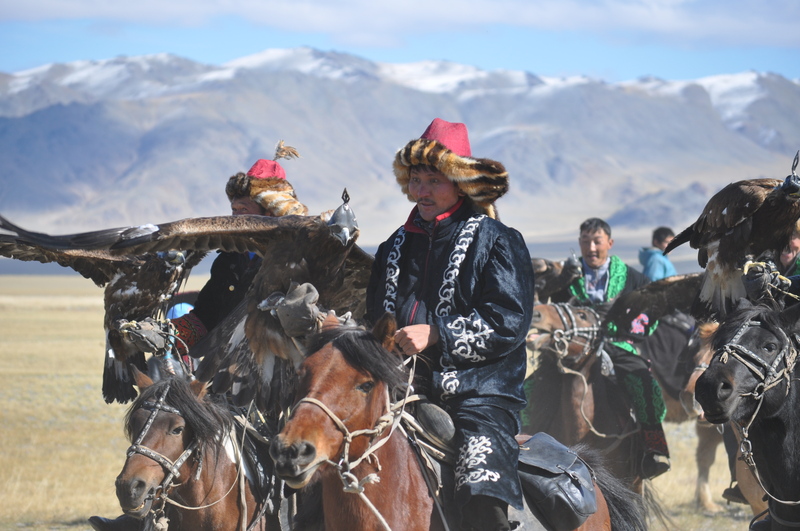 The Golden Eagle Festival in early October is listed by Lonely Planet quite unfairly as only the 2nd best event in Mongolia behind the National Naadam. 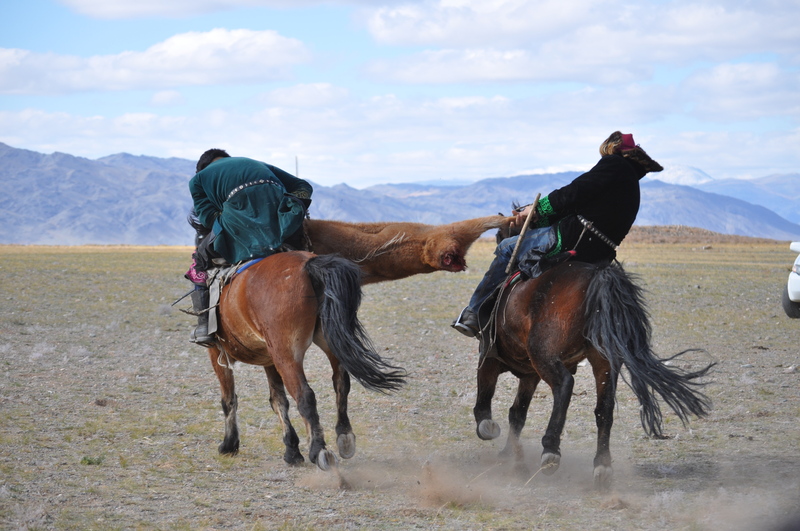 Naadam lacks displays by trained golden eagles and wrestling is a poor substitute for fighting over a goat carcass on horseback (kokpar). The smaller Altai Kazakh Eagle Festival is held in late September is equally entertaining. 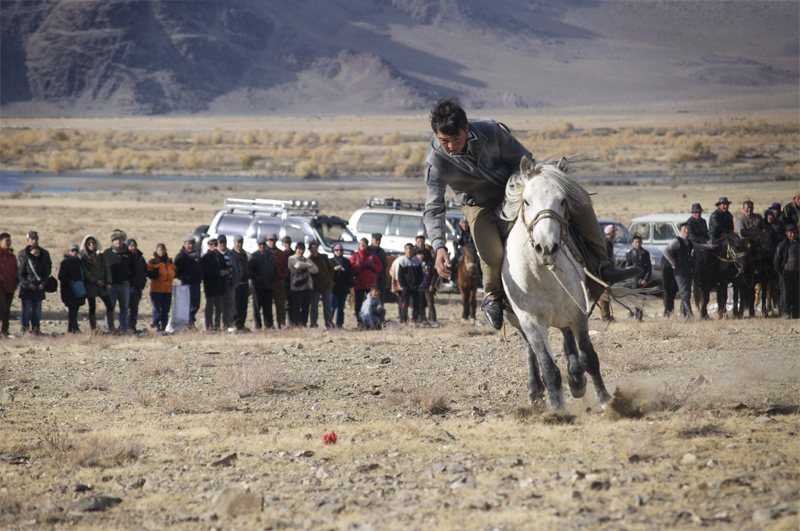 You can see the Kazakh horse games at two more festivals in March and July, though without eagle hunters (they only hunt in winter). No celebration in Bayan-Olgii would be complete without a Kazakh traditional music concert. 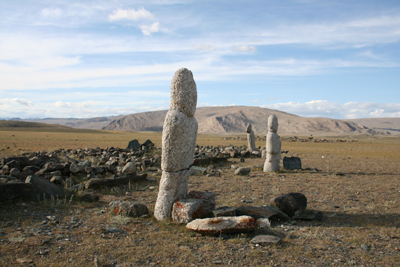 Also, several small Naadams and a large Aimag Naadam are held during the summer. The Kazakhs of Mongolia are famous throughout Central Asia and increasingly further abroad for their beautiful, vibrant hand-embroidered designs. Kazakh gers are covered in the stunningly colorful wall hangings, carpets, and ribbons, creating a psychedelic world inside the felt tents, which Kazakhs consider to be the center of the universe. The curving designs patterned after goat horns symbolize the wealth of herders. The richness of Mongolian Kazakh designs make them a popular export to their traditional homeland in Kazakhstan, where the old production method has fallen out of favor. Kazakh products made in Olgii can be found in many shops in Ulaanbaatar, Mongolia and Almaty and Astana, Kazakhstan. However the best prices and selection can be found in the workshops and stores of Olgii. The hectic bazaar with its fresh halal meat, produce, clothing, and vast variety of Chinese, Russian, and local goods is worth experiencing even if you have nothing to buy. For higher end shopping, the several cashmere shops sell Mongolian cashmere (the best in the world), camel hair, and furs that rivals anything sold in Europe.